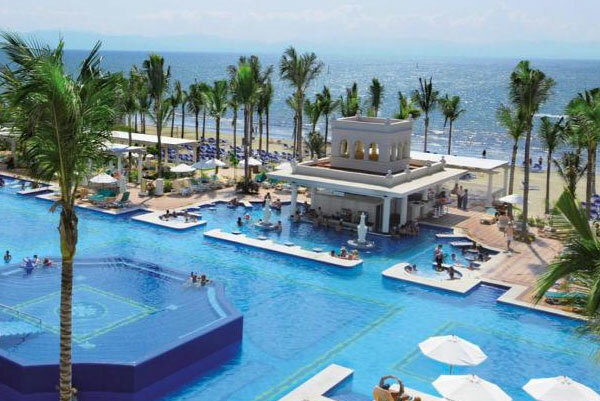 The Hotel Riu Palace Pacifico (24h All Inclusive) is located in Nuevo Vallarta, Mexico, and is undoubtedly our most luxurious hotel in the area. 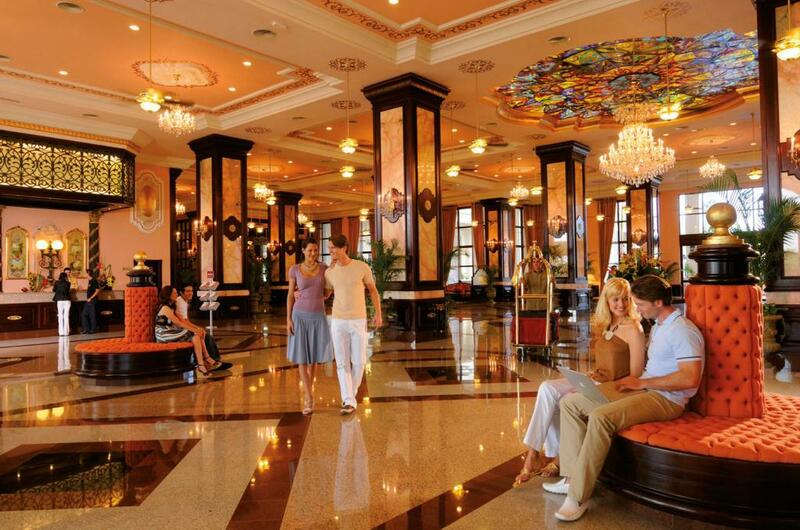 The high quality service and professionalism of its staff makeHotel Riu Palace Pacifico the perfect place to spend your holidays. 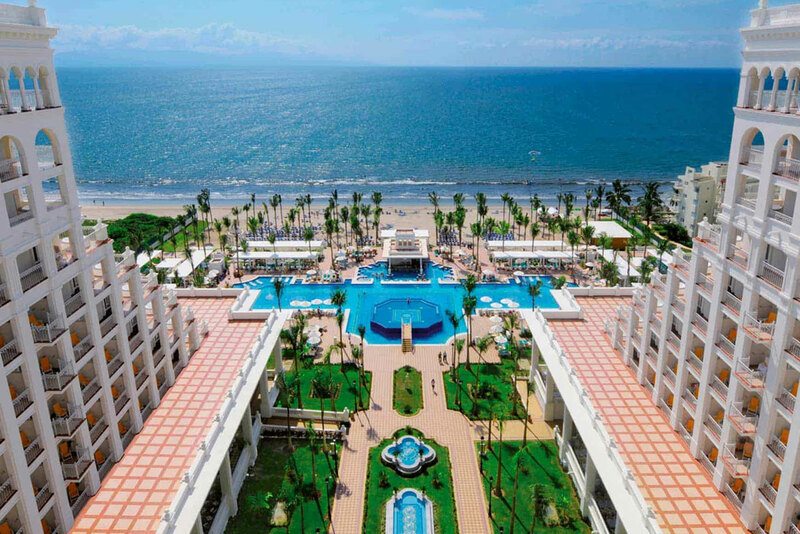 If you want to escape from the hustle and bustle of the city and leave behind the stress of everyday life, Hotel Riu Palace Pacifico offers you the best facilities to cater for your every need. You’ll find a fresh water swimming pool, Jacuzzi, solarium-terrace, gym, sauna and spa with a range of different treatments and massages. 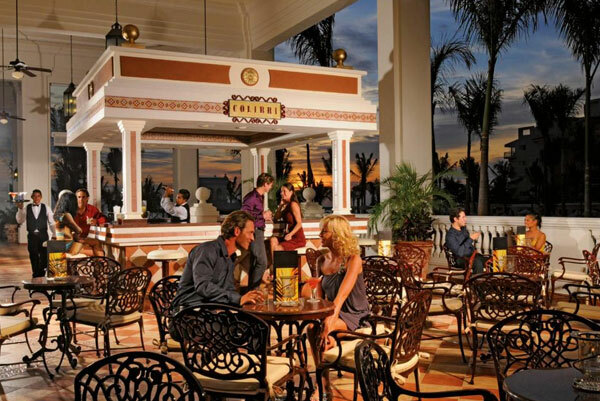 Thanks to the All Inclusive system at Hotel Riu Palace Pacifico you can enjoy Mexican cuisine at its best. It includes a wide variety of recipes and is recognised for its distinctive and sophisticated flavours which incorporate many spices. 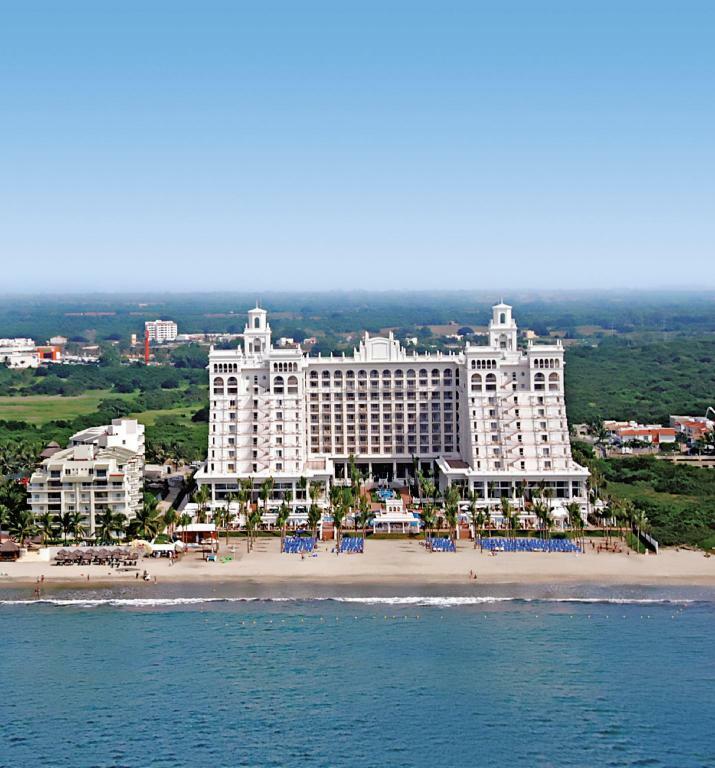 It is a combination of gastronomic traditions, including Mesoamerican and European ones, as well as many others, which is why the buffet restaurant and the different themed restaurants of the hotel offer the best menus and made to order dishes. 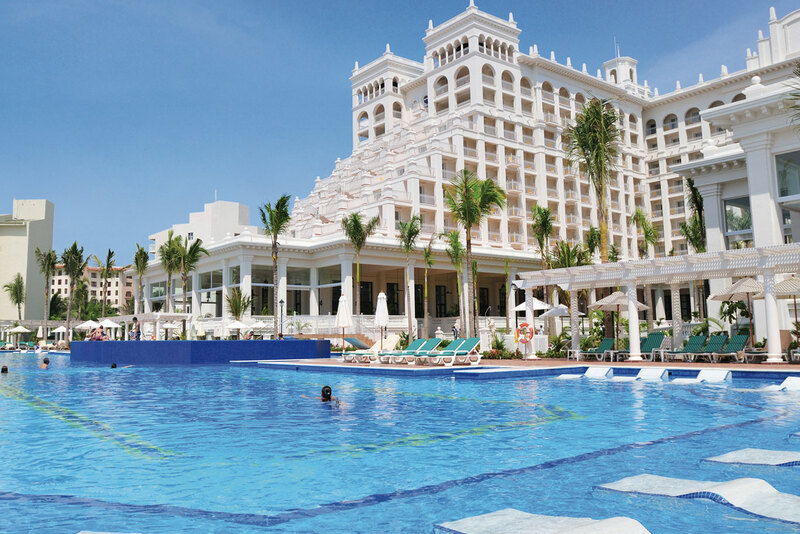 You will also find numerous activities and sports to enjoy during your stay at Hotel Riu Palace Pacifico. You can play volleyball, do gymnastics, windsurfing, catamaran, kayaking, bodyboarding, golf and many other water sports at the beach. At night you mustn’t miss the different shows and live music organised for you by our entertainers. If you want to go dancing we invite you to the “Pacha” club where our DJs play the best beats. 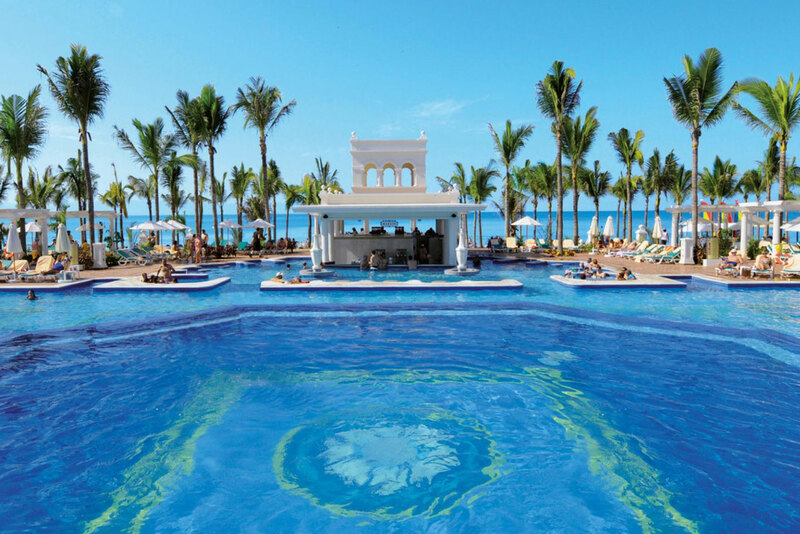 Your children will have a ball with other children in the Riu Land programme where crafts and sports are just some of the leisure activities organised by our entertainers. 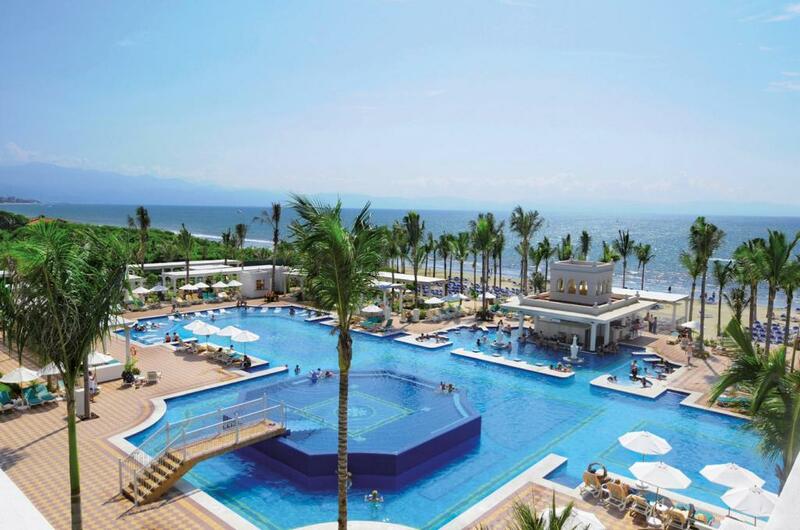 Surrounded by the beautiful Banderas Bay and protected by the impressive Sierra Madre you will find Nueva Vallarta, one of the most popular tourist destinations in Mexico. With excellent beaches and water sports, this city gives you the opportunity to get closer to nature, at its most unique. If you want to go on excursions and discover the surroundings, we recommend you to make a stop at Banderas Bay to see the release of sea turtles, swim with dolphins, observe blue whales, go horse riding in the Sierra Madre, and for the more adventurous we suggest bungee jumping. In the beach area, you will find many restaurants, bars, cafés, shops and businesses where you can buy souvenirs. 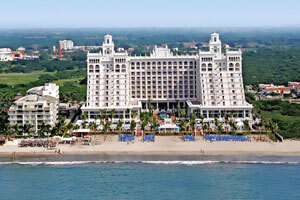 The Hotel Riu Palace Pacifico, in a seafront location on the impressive Pacific Ocean and surrounded by unique nature. 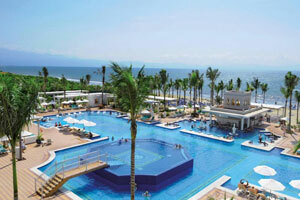 Enjoy the best offers of Mexico and spend some relaxing time at the hotel. 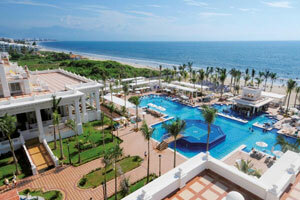 All 445 rooms at Hotel Riu Palace Pacifico boast jetted tubs and offer free WiFi and balconies. 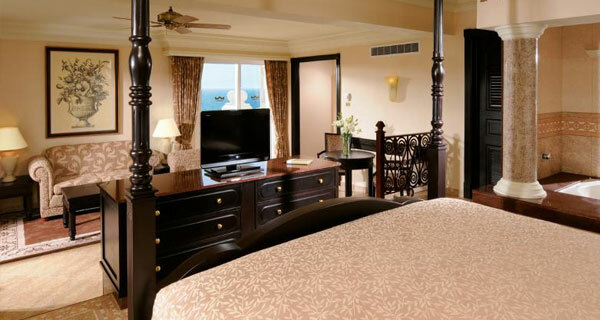 Sitting areas and 24-hour room service are standard, as are plasma TVs with satellite channels. 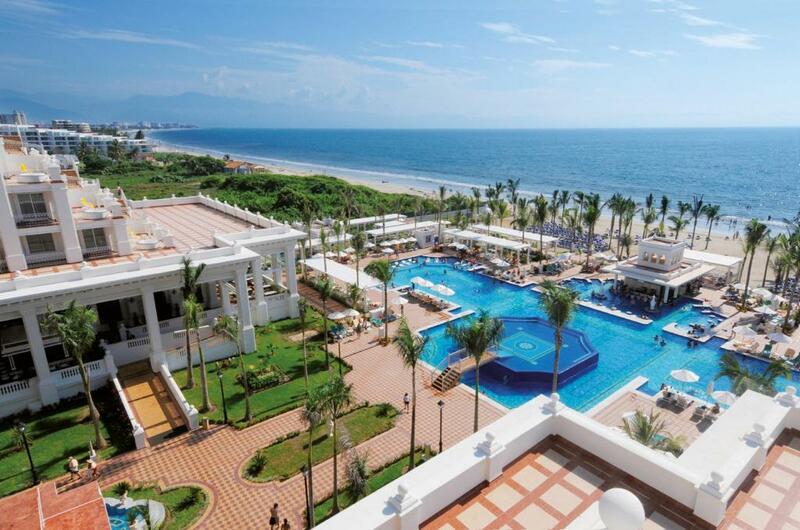 Luxury, golf and spa... and much more on the Riviera Nayarit If you're thinking of trying your swing on your next holiday, come to the Riu Palace Pacífico, one of the most luxurious hotels in the Vallarta area, on the Mexican Pacific. Our Renova Spa will take care of the rest, so that you can enjoy yourself as never before on your most sensual holiday.